The female brain is geared for complex thinking and reasoning, weighing all their options, carefully and thoroughly as discussed in my last blog. It can also be concluded that where women look for and remember context, men look for and remember factual content. 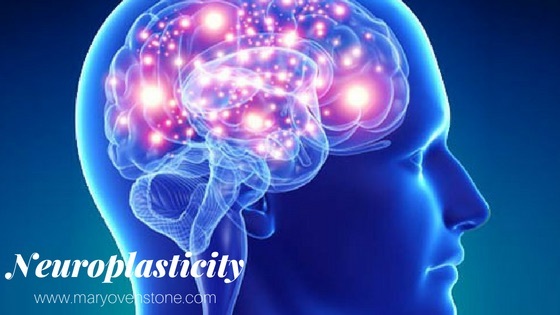 I’m very interested about the relatively new branch of neuroscience called Neuroplasticity, which studies how we take the brain we were born with and grow and change it throughout our lifetime, even in old age. When we studied the brain in our youth this was thought to be impossible. Research in Neuroplasticity shows that the brain is capable of change as a result of experience. UCLA Med School, Clinical Prof of Psychiatry, Daniel J. Siegel, MD, writes that the brain/body is the “Physical structure and mechanisms for the flow of information and energy throughout the system”. And he defines the mind relative to the brain, within the context of relationship with others and the outer world. He says that the mind is “Embodied and embedded within a relational process that regulates the flow of energy and information”. In summary Segal says that not only does the brain change the mind but the mind also changes the brain.